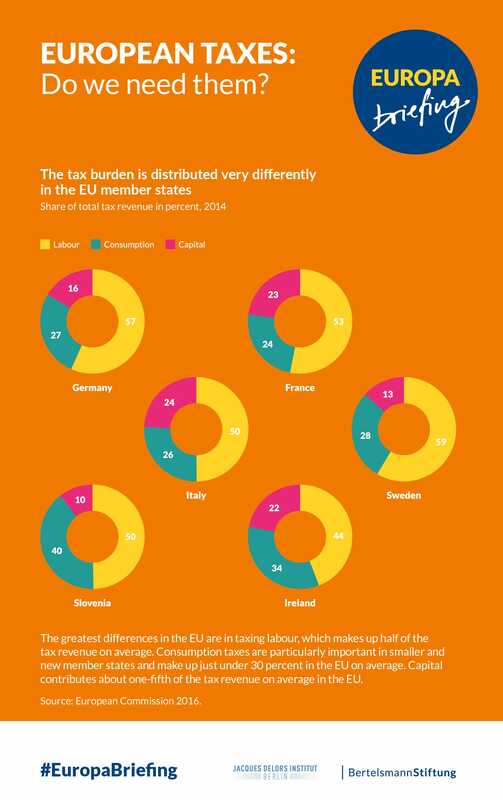 GED Blog » Improving Public Understanding of Economic Globalisation » Do We Need European Taxes? Do We Need European Taxes? In recent years, tax evasion scandals brought the topic of tax regime differences in Europe back to the centre of public interest. This briefing explains what types of tax regulations already exist in the Single Market and which reforms are currently under discussion. Looking to the future, it also discusses the arguments in favour and against European taxes. In the European Union, each member state is responsible for its tax system. Different national regimes help with tax competition, but can also lead to tax evasion or unfair rules in the Single Market. That is why better coordination or even standardisation of taxes is debated. What tax regulations are there already in the Single Market? What would be the advantages and disadvantages of a European tax? And what reforms are being discussed in Europe? To get the answers to all these questions and more, simply click on the download window above to read the full brief. „The Europa briefing series is published as part of “Repair and Prepare: Strengthen the euro”. For this project, the Bertelsmann Stiftung has joined forces with the Jacques Delors Institut – Berlin to provide a roadmap for a stronger Economic and Monetary Union. You can find all briefings and further publications on the future of the Eurozone on the website of the project www.strengthentheeuro.eu. What Kind of Coordination for the Eurozone?